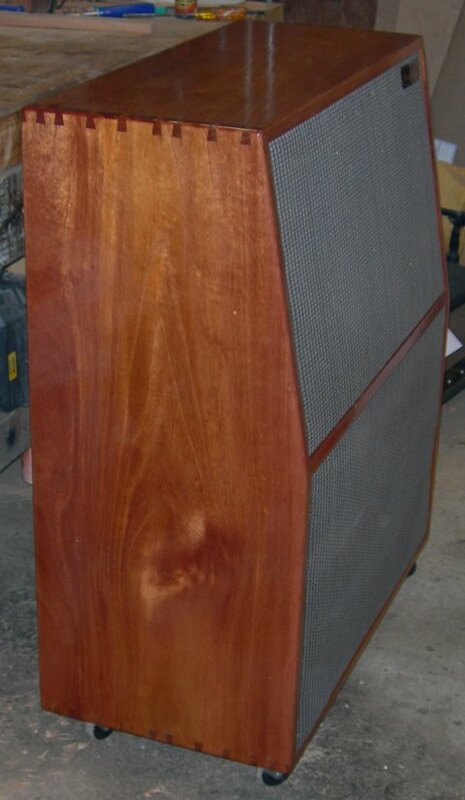 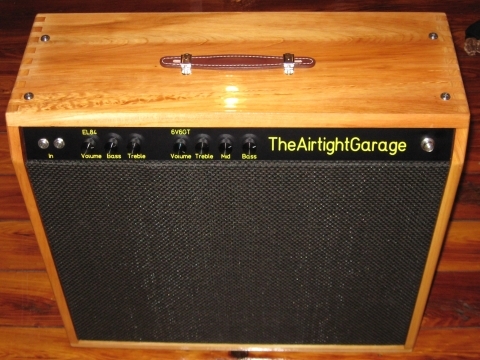 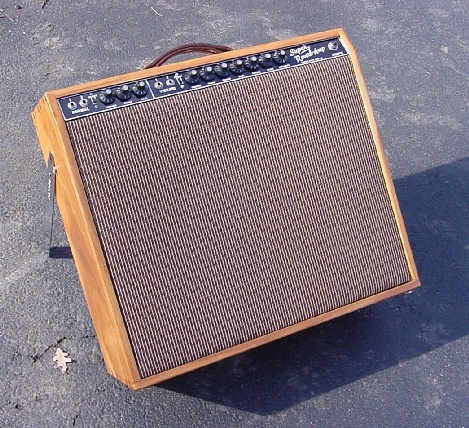 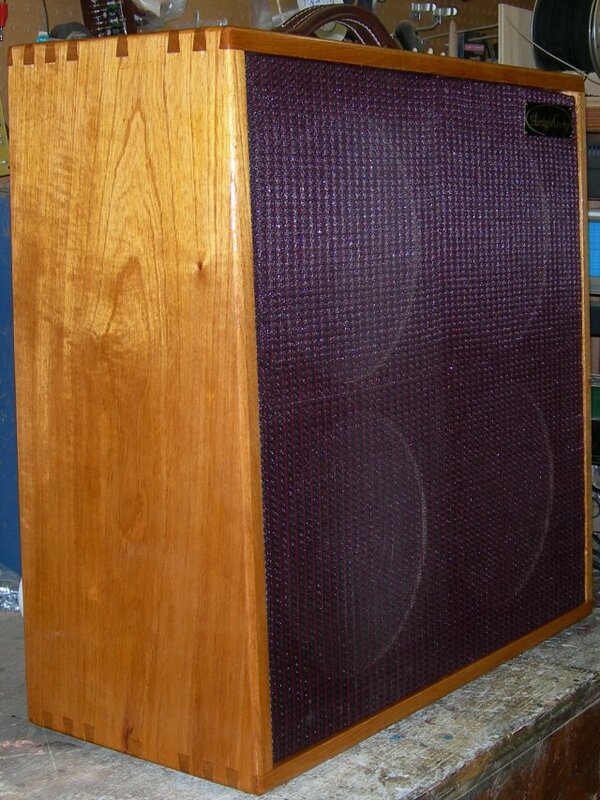 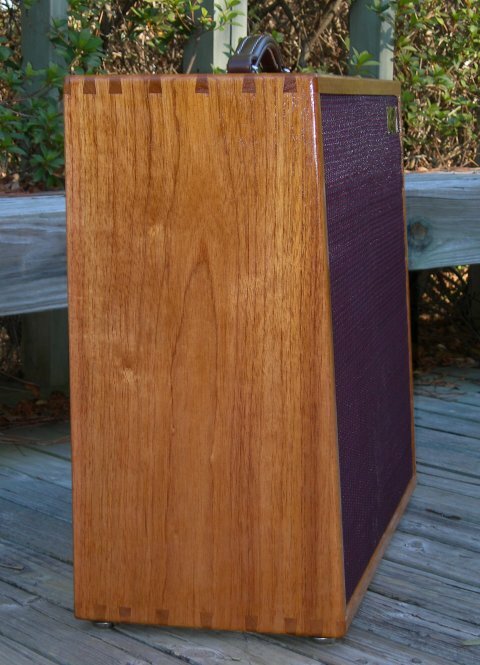 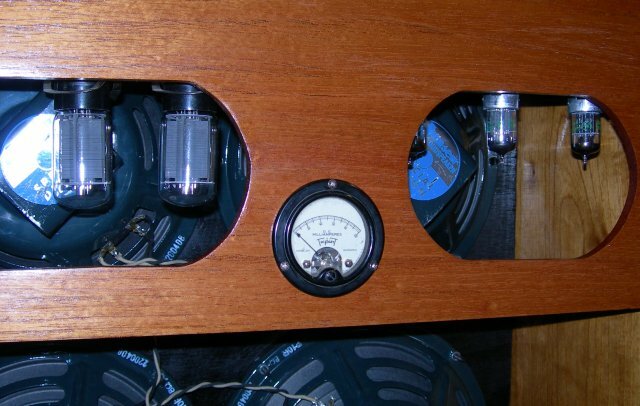 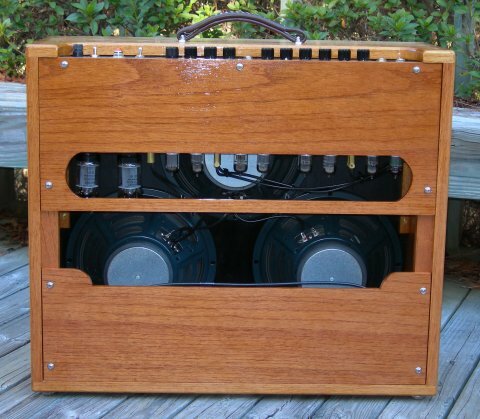 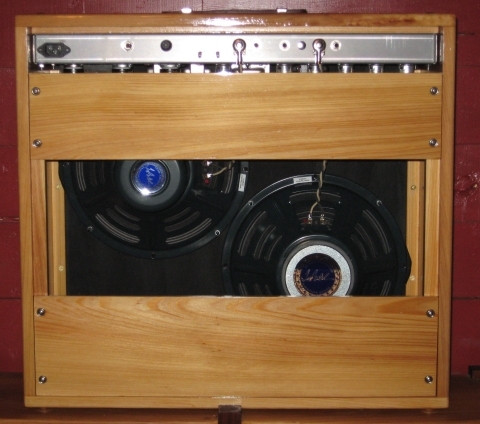 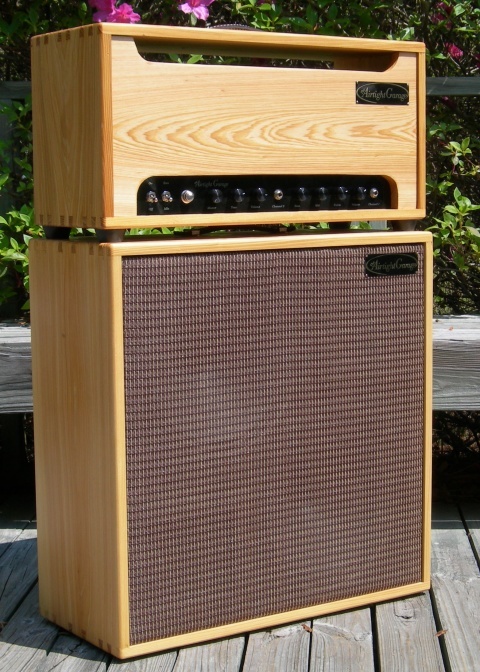 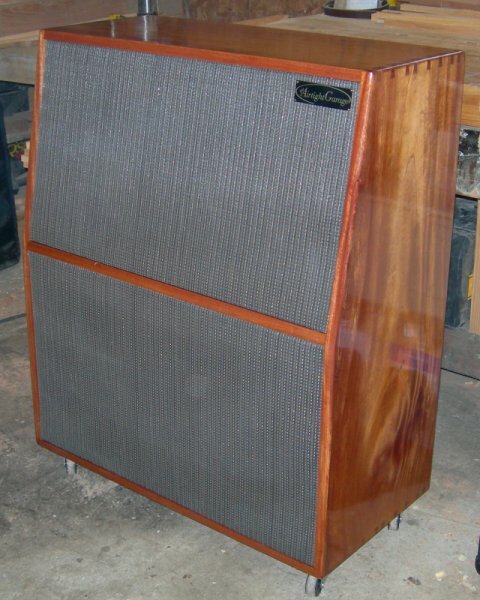 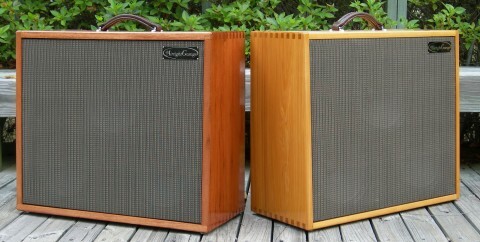 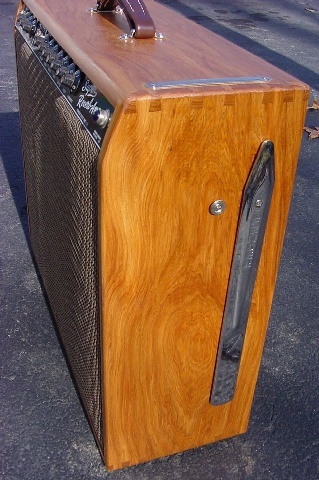 Here are some pictures of amps and cabs that we have made over the years. 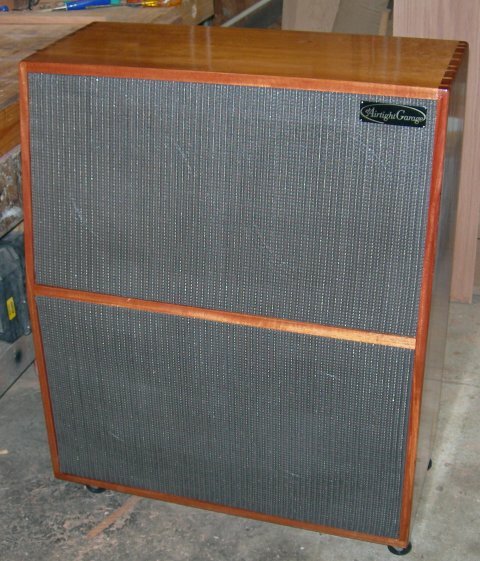 This is the original Blair cabinet with black tolex and piping. 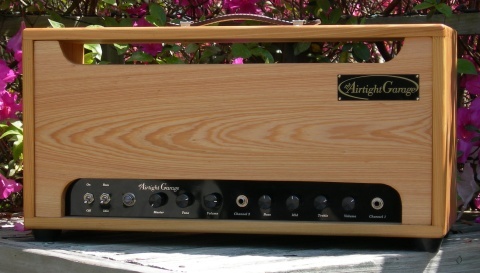 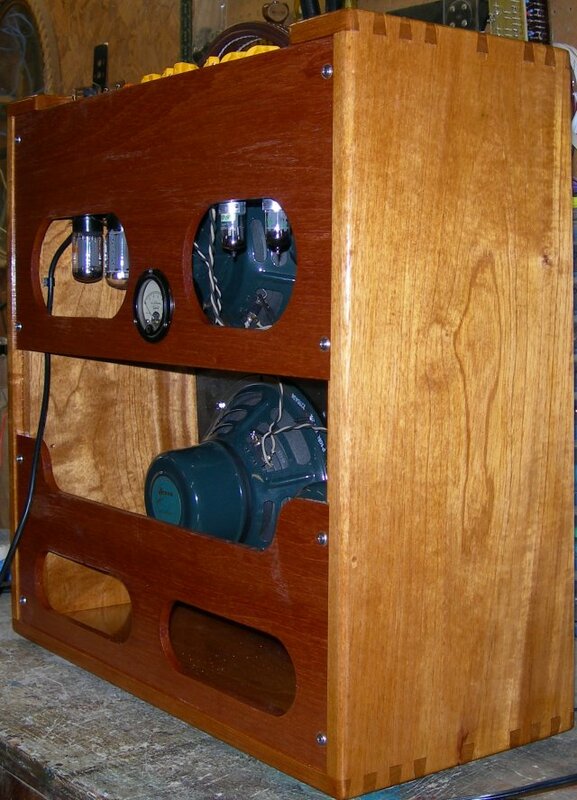 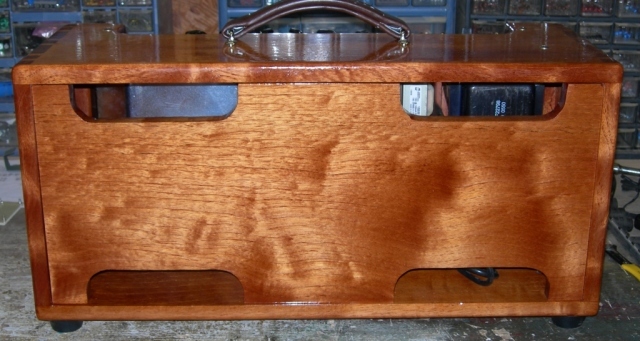 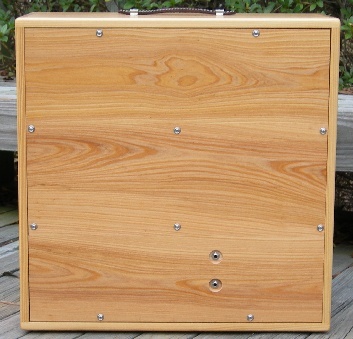 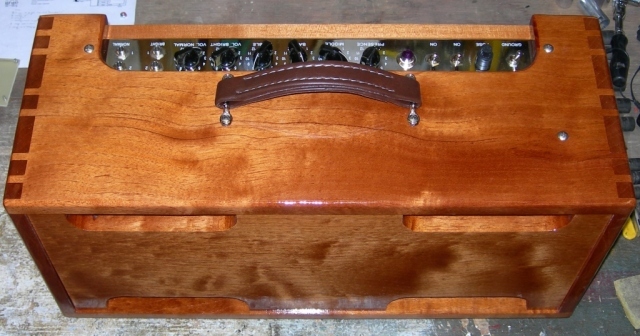 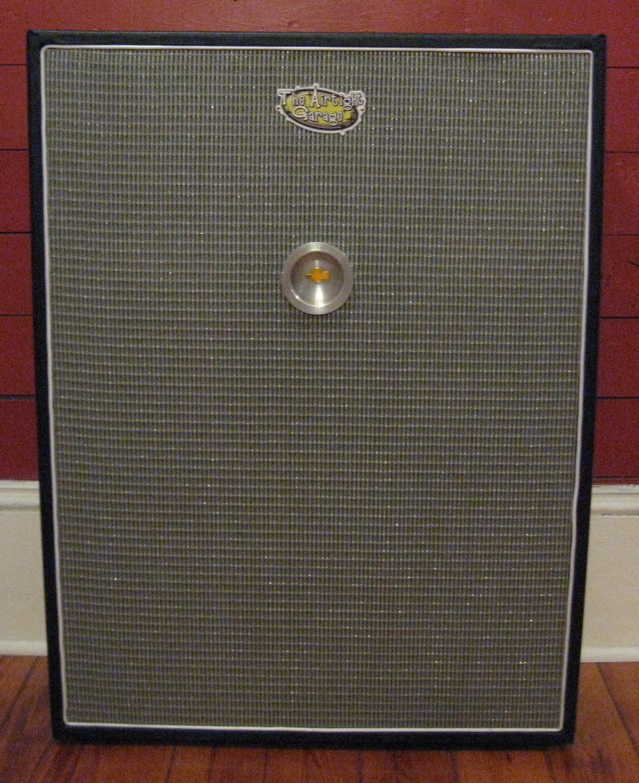 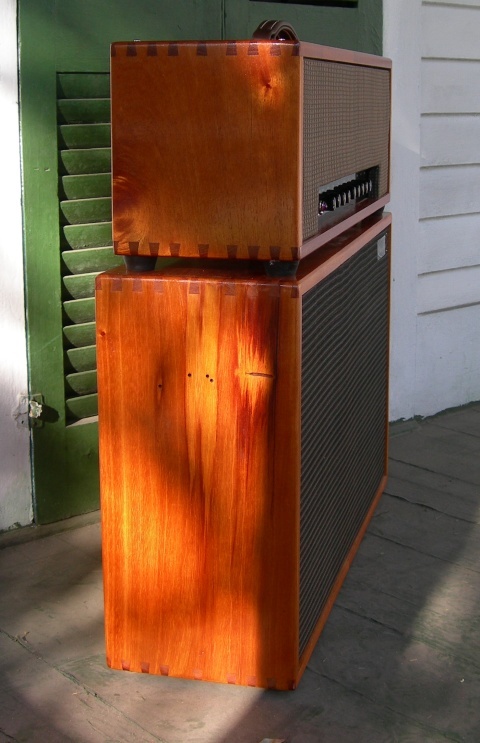 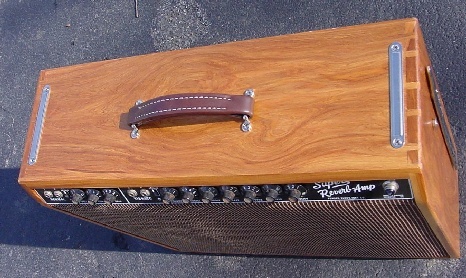 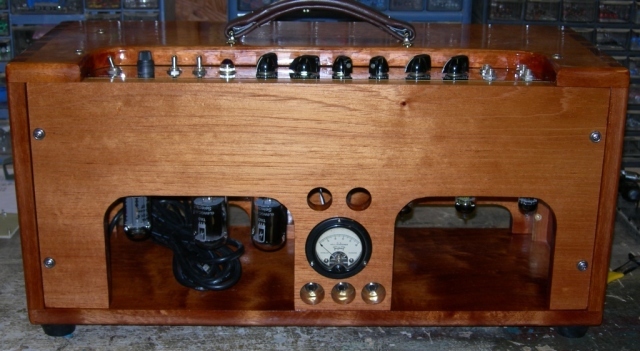 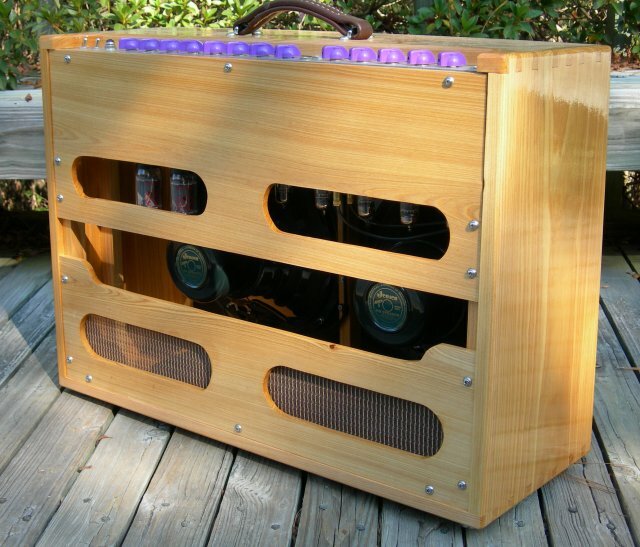 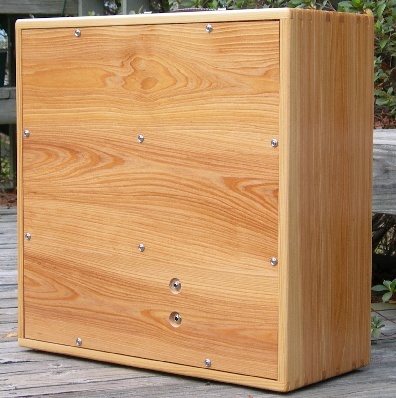 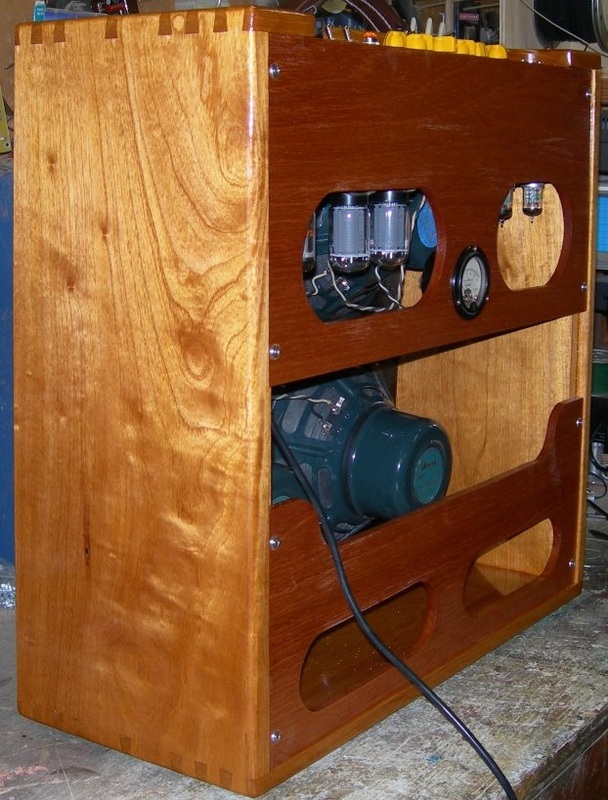 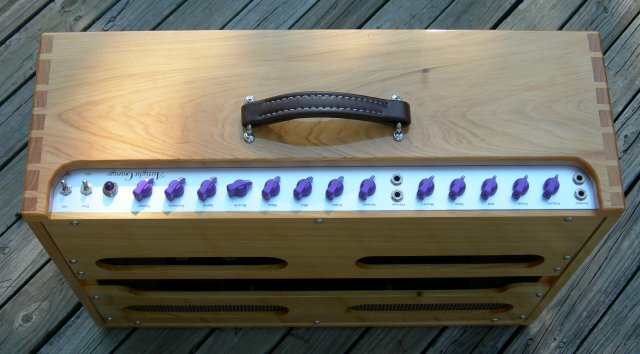 This is a MaryJane amp in cypress with the handle on top. 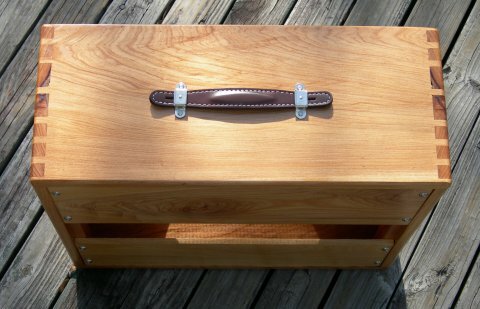 The writing on the back has not been put on yet. 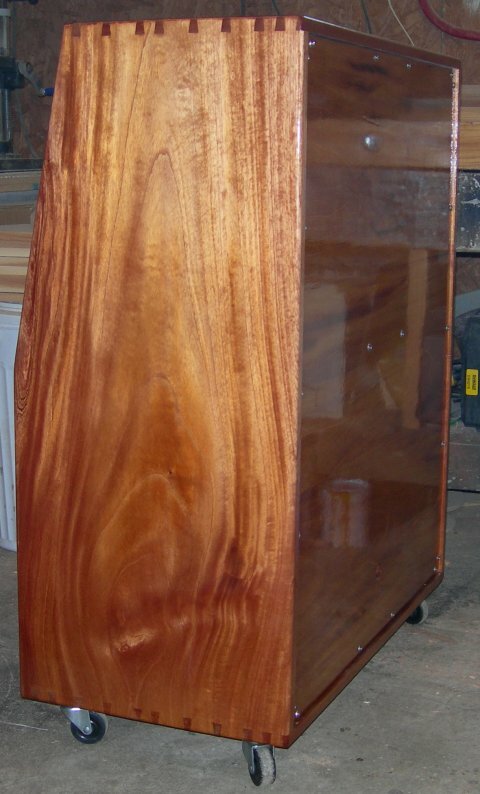 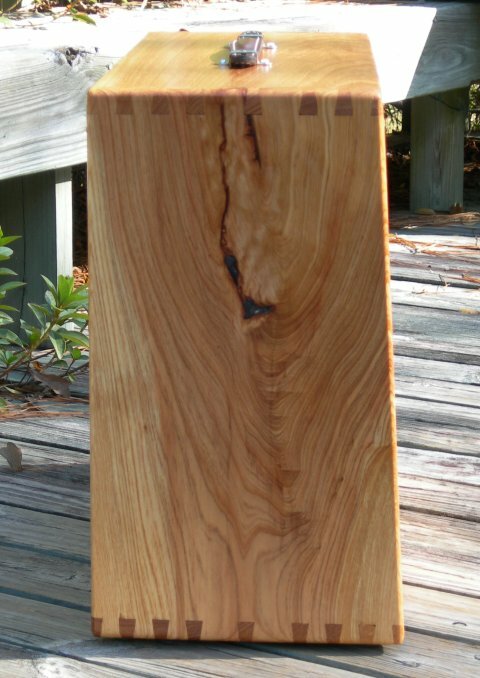 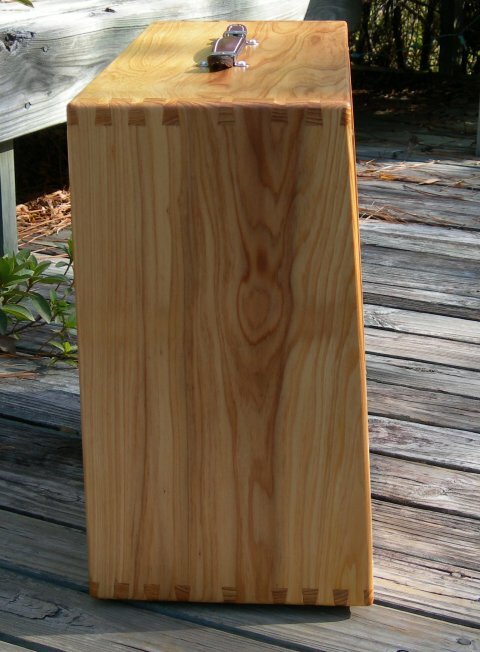 This is a Betsy head on a Blair cabinet in spanish cedar. 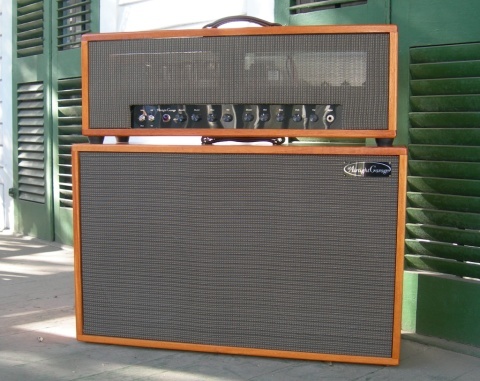 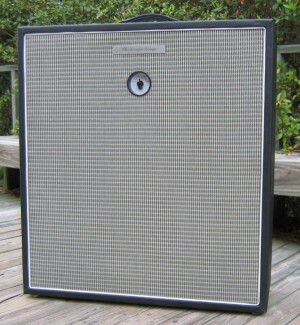 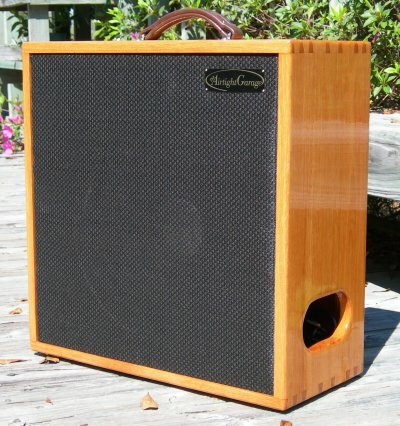 This is a 2x12 cab in cypress. 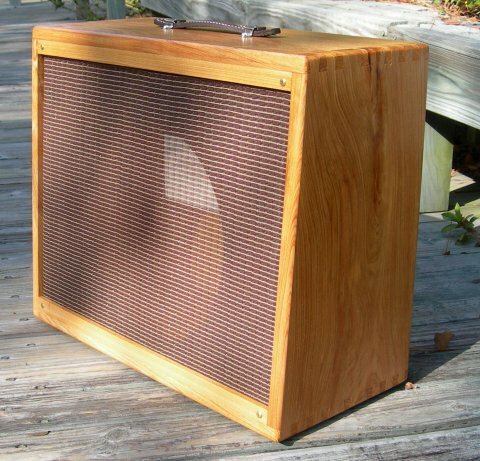 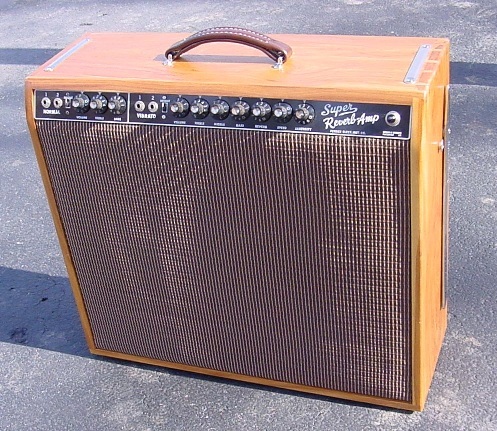 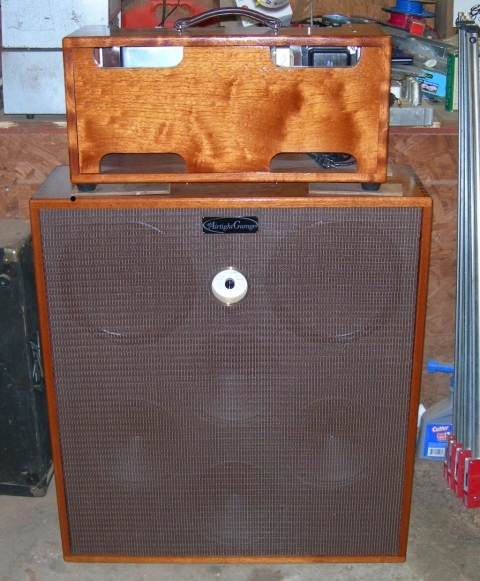 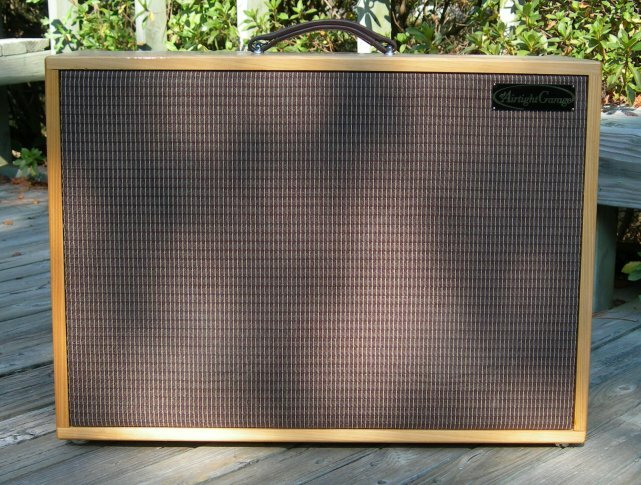 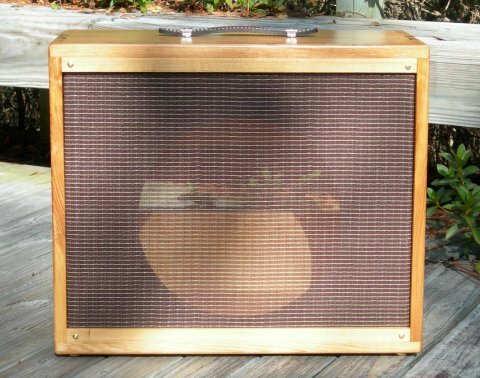 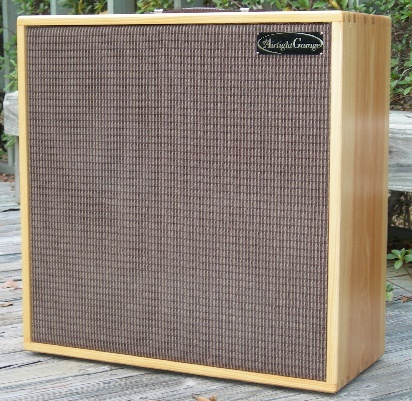 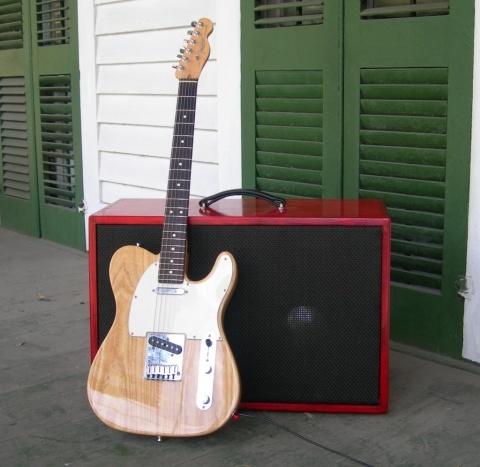 This is Dr. Beyts guitar with his 2x12 cab. 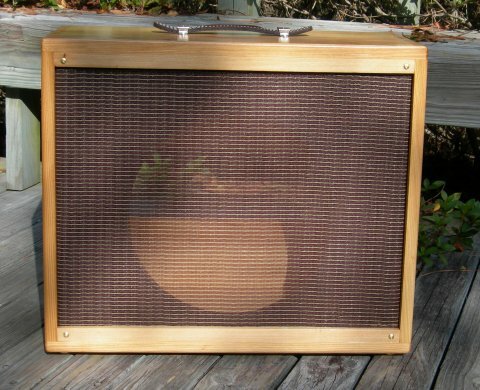 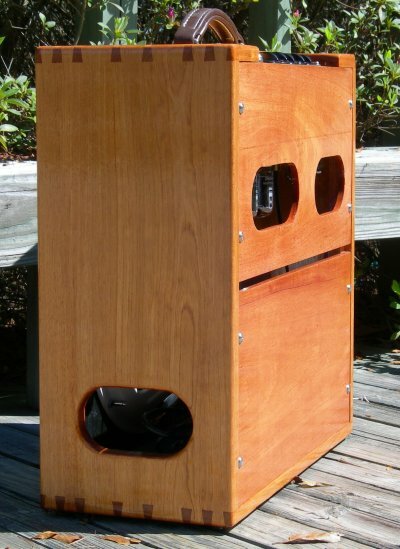 This is a cab I made for a super reverb.